Amid a slow global economic recovery in recent years, the Asia-Pacific region, consisting of the most dynamic and hopeful economies on the globe, has maintained vigorous economic growth. As the biggest developing country and emerging economy in the world, China's economy and its development plans have been a subject of worldwide concern. 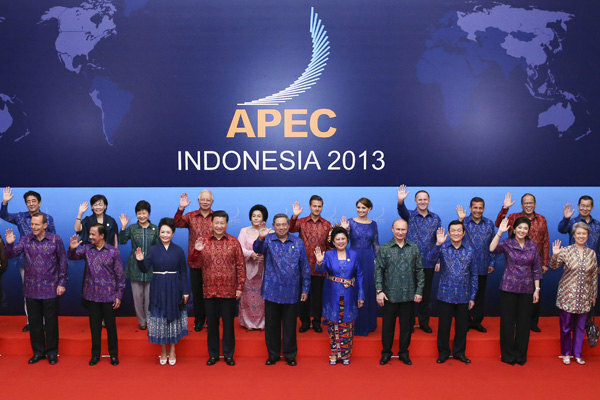 As a 21-member forum, APEC seeks to boost free trade and economic cooperation throughout the Asia-Pacific region. First, APEC members should strengthen coordination on macroeconomic policies and jointly promote regional development. Second, unremitting efforts should be made to maintain financial stability in the Asia-Pacific region. Third, members should deepen economic restructuring to inject more vitality into sustainable development.